This is an exciting time to be at Notre Dame High School! 1.) Pay Your Enrollment Deposit of $1,000 by January 25, 2019 to secure your spot in the Class of 2023. You may pay your non-refundable deposit online or via check made payable to Notre Dame High School. 2.) Submit Your Signed Enrollment Contract that was included in your Acceptance package. 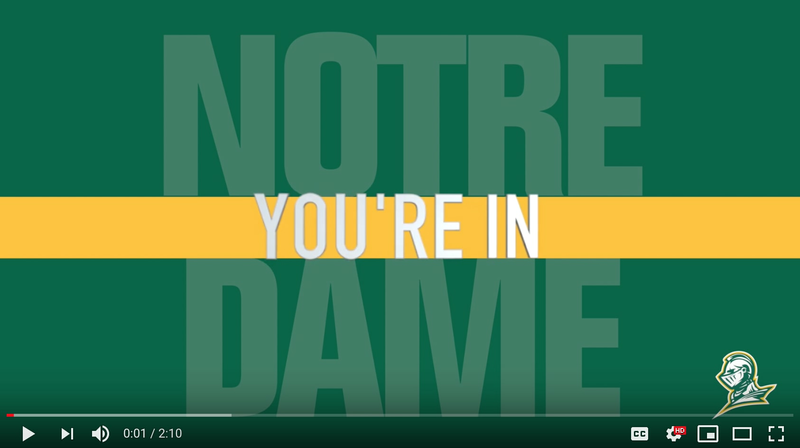 Please attach it online with deposit, mail, fax to 203-933-2474, or email admissions@notredamehs.com. Class of 2023—Welcome to the Brotherhood!